With Brussels increasingly impatient for a deal on Brexit and a NATO summit planned for Thursday, UK Prime Minister Theresa May is facing a domestic crisis of confidence — and humiliation on the world stage. Adding to her troubles, May must play host to US President Donald Trump on Friday amid what are expected to be massive protests against his visit. In an interview with RT, former Mayor of London Ken Livingstone said he had “never known such uncertainty in all my time in politics” and called the situation within the Conservative Party “absolutely chaotic” after three cabinet ministers resigned in quick succession between Sunday night and Monday morning. Asked if anyone could bridge the gap on Brexit thinking between the two warring sides (those who want a ‘hard’ Brexit and those who prefer a ‘soft’ Brexit), Livingstone was doubtful. “It just isn’t possible. There is no one person on either side who can unite the Tory party around this issue,” he said. Brussels is increasingly frustrated with May’s inability to deliver any kind of certainty on Brexit, and it hasn’t been shy about showing it. On Monday, President of the European Council Donald Tusk said Brexit represented the “biggest problem in the history of EU-UK relations” and warned that it was still “very far” from being resolved. Just a few days ago, the embattled May, whose popularity has been waning in recent months, hammered out a compromise with her cabinet during an all-day meeting at Chequers — the premier’s official country residence. Media pundits were optimistic that some progress had finally been made in negotiations and hailed the outcome as a success for May — but it did not last. Many of her critics, including Labour leader Jeremy Corbyn, quipped that it took May’s government two years to come up with a Brexit plan — and just two days to destroy it. May had tried to score a win with Ireland and Brussels by going for the ‘soft’ Brexit option, which they had favored, in part, as a way to prevent the reimposing of the border between Northern Ireland and the Republic of Ireland, which could put the North’s peace process and the Good Friday Agreement at risk — but Brexiteers in her cabinet didn’t seem overly concerned with the Ireland issue and pushed ahead for a harder Brexit anyway. Jeremy Corbyn tells the Commons it took Theresa May two years to reach a cabinet agreement on Brexit: "That illusion lasted 48 hours. Now there are only a few months left before these negotiations are supposed to conclude." 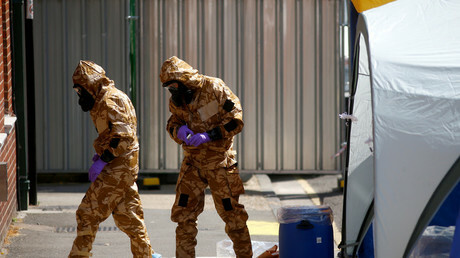 Amidst the chaos over Brexit and cabinet resignations, Dawn Sturgess’ death in Amesbury from a deadly nerve agent set off another round of Russia-bashing in UK media, with journalists, politicians and commentators pointing the finger at Moscow and suggesting that the country was under a Russian attack. Before he quit, former Foreign Secretary Boris Johnson was a no-show at Monday morning’s meeting of the government’s Cobra emergency committee — a meeting which was set up to discuss Sturgess’ death. This begs the question: if there was real concern within the British government that the country was under attack by Russia, why would the foreign minister use that moment to resign? If the country was under attack, would Theresa May’s cabinet really be imploding at this precise moment? The obvious answer is ‘no,’ and the reality is that Johnson is far more concerned with his own political future than he is with phony allegations of Russian attacks on Britain. Speaking to RT, journalist and political analyst Neil Clark, said that Johnson clearly wants to use the Brexit chaos to replace May and thinks now is the time to do it. “Boris Johnson is a very, very ambitious politician. He wants to be prime minister, I don’t think there’s any secret about that — and I think he believes now is his time. He thinks, presumably that he can get enough support within the party to challenge Theresa May,” Clark said. Less crucial, but a diplomatic headache nonetheless, is the issue of what to do if the England team reaches the World Cup final in Russia, which is looking increasingly possible. May will be forced to make yet another difficult decision: stand firm in her government’s promise to boycott the event over the geopolitical tensions with host nation Russia, or reverse her position and send government representatives to attend. Her options aren’t enviable: abandon the England team in their hour of glory — or go back on her word and risk being seen as a hypocrite. So far, May appears to be hanging on for dear life, insisting that her government is not in meltdown mode. She has promised to fight off any attempts by cabinet ministers to oust her — but it will not be easy. From various quarters, she is increasingly facing calls for a snap election, calls for a new Brexit referendum — and even calls for a new independence referendum in Scotland and a border poll to decide the fate of Northern Ireland post-Brexit. If a snap election is called, it will be the third general election in just five years. 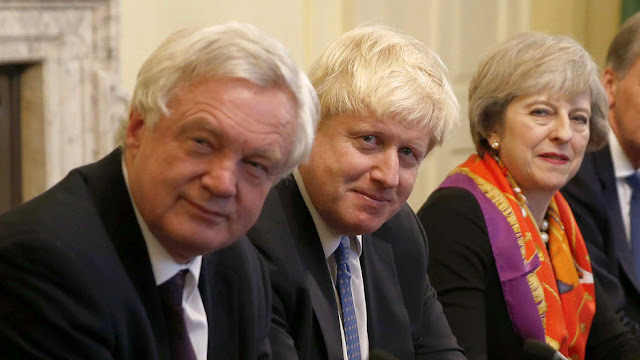 Naturally, opposition politicians favor that option, but now it seems even some of May’s own loyalists have been coming around to the realization that there may need to be a change in leadership for any real progress to be made. There is appetite, too, among the public for a new election, with more than half of respondents in a recent poll saying an election should be called if May is ousted and replaced by one of her cabinet rivals.